March 25, 2019, 2:26 p.m.
After another chaotic week in Westminster YouGov’s latest polling shows that events are taking their toll on the popularity of the two main party leaders. Both are now less popular than ever before. Just 26% of the public currently have a favourable opinion of Theresa May, and 65% have a negative opinion. This gives her a net score of -39. Most of the fieldwork was conducted on Friday and Saturday, before the rumours of an attempted coup surfaced Saturday evening. The Prime Minister’s popularity had been holding up fairly well since she lost her majority in 2017. As of last October, before the Brexit deal was finalised with Brussels, she was slightly more popular than she had been in the months following the election, peaking at a net score of -22. 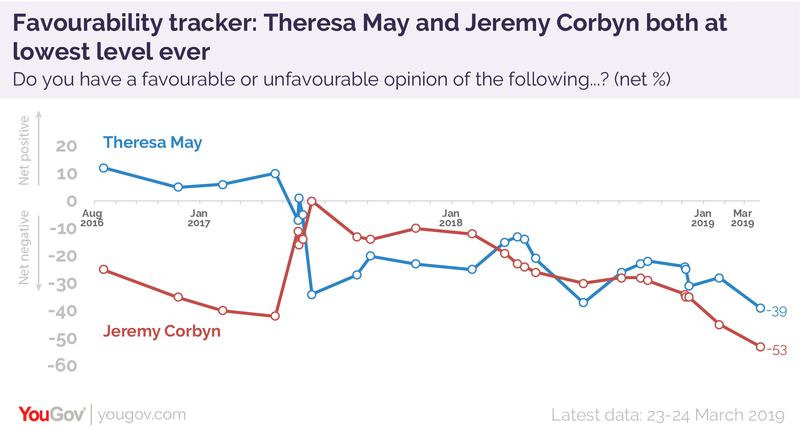 Jeremy Corbyn’s favourability is now lower still, with just 18% of the public now holding a favourable view of him, compared to nearly four times that number (71%) who have an unfavourable view. This means his net score currently stands at -53, down from -29 in October last year. This is a continuation of the fairly consistent downwards trend in his popularity since his extraordinary comeback during the last general election, and our recent analysis showed that Brexit indecisiveness was one of the key drivers. Last October, 67% of 2017 Conservative voters had a favourable opinion of Theresa May, compared to 27% who had an unfavourable opinion (a net score of +40). In our most recent poll they were much more evenly divided, with 51% having a favourable view and 45% having an unfavourable view (a net score of +6). 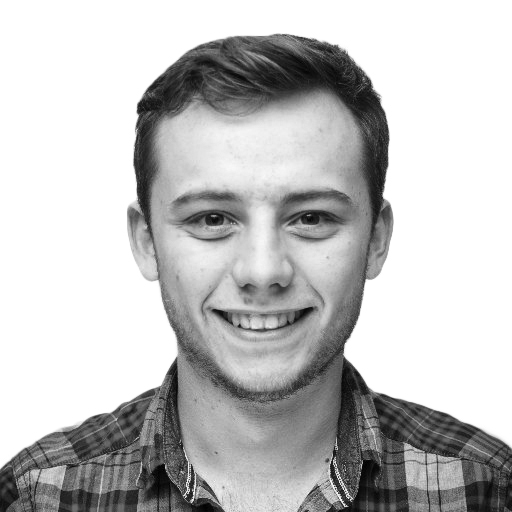 At the same time last October, 62% of 2017 Labour voters had a favourable opinion of Jeremy Corbyn, with 31% having a negative view (a net score of +31). In our most recent poll Labour voters were overall negative towards their leader, with 42% having a favourable opinion compared to 52% who now have a negative opinion (a net score of -10).